All items must be returned unused and in the original packaging. No returns allowed on special order or clearance items. No returns or exchanges for store credit after 45 days of purchase. Full cash or credit card refunds are honored for 30 days after purchase. Merchandise must be accompanied by the original sales receipt. No refunds on gift certificates or in store credit. Any installed items, regardless if customer or we installed them, will not be returned. Labor to install any items will not be refunded. We reserve the right to limit returns and exchanges regardless of receipt. We reserve the right to edit this returns policy at any time. A 48 hour cancellation of a rental reservation is required to avoid the fee of the rental period. A 24 hour cancellation of a rental reservation will result in a one day rental charge penalty. In the result of a rental cancellation within the 24 hours prior to rental pick up, the customer will be responsible for the entire rented time and rental charges. All bicycles must return in the same condition and set-up as "rented" condition at time of pick up. Any changes to rented bicycle that are not consistent with rented condition will be subject to labor charges to restore bicycle to "rented" condition. *Damage and Repair Costs may vary per incident. Bikes are to be returned in the same condition as rented. A valid driver's license and a major credit card are required for bicycle rentals. Renters must be eighteen (18) years of age. CREDIT CARD PRE-AUTHORIZATION. A pre-authorization of a minimum of $200.00 will be made for each bicycle rented. Card holder must agree to the terms and conditions and sign THE RENTAL CONTRACT. A pre-authorization will be held on the credit card and this pre-authorization will not be processed if the bicycle and all rented items are returned in the same condition as defined by the terms of the rental contract. Your signature, as attached to the front of any contract, gives your consent to charge rental, loss, or repair fees to your card for the remaining amount above the pre-authorized amount. All Special Order items must be paid in full at time of order. Customer will forfeit any pre-payment due to cancellation of any special order item. A one week exchange regarding any size or upgrade issue. No return on any bicycle for cash or store credit. No return on any special order bicycle. 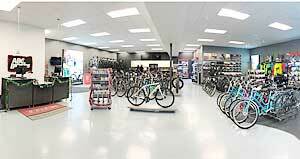 This includes any non-stocking bicycle brand, model, size, or color. 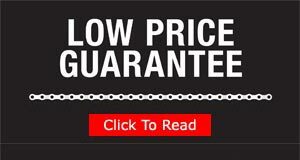 Customer will forfeit any pre-payment due to cancellation of a special order bicycle. 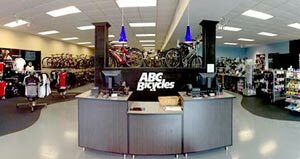 We may provide your information to our third party partners for marketing or promotional purposes only for store promotions specific to ABC Bicycles and/or Trek Store St. Pete. 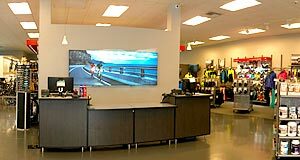 ABC Bicycles and Trek Store St. Pete may change this policy from time to time by updating this page. You should check this page from time to time to ensure that you are happy with any changes. This policy is effective from March 1, 2015.